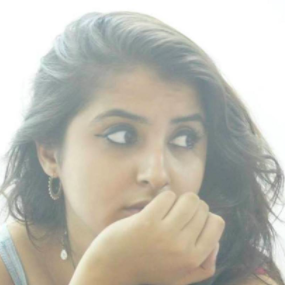 See Pics: Alia Bhatt's Cousin Got Married & Bollywood Came Together To Wish Her! Tinsel town has been in a complete wedding frenzy these past couple of months. It all started with the grand DeepVeer wedding, then Nickyanka, and then the extravagant Ambani ceremony. Well, if you thought they were all partied out, you're mistaken. The shaadi season is still on and B-town celebs are continuing to bring the best desi avatars to the table. Filmmaker Mukesh Bhatt's daughter Sakshi Bhatt got married in an intimate ceremony, but her wedding reception was a glamorous affair. Along with the Bhatt family, Bollywood A-listers like Big B, King Khan, and Ranveer Singh attended the party and looked absolutely fabulous. It was organised at Taj Lands End hotel in Mumbai and we've got all the photos. Just look at this stunning bride. Welcome the newlyweds, Sakshi Bhatt and Mazahir. Aamir Khan, Mukesh Bhatt, Pooja Bhatt, Anil Kapoor, and Khiladi Kumar - now that's one star-studded photo! Vidya Balan and her hubby Siddharth Roy Kapoor were twinning and winning in black. Amitabh and Jaya Bachchan looked as stunning as ever! And the yesteryear beauty Rekha also posed for the shutterbugs. The very dapper Hrithik Roshan brought his A-game on! Vicky Kaushal looked bright, beaming and handsome in a light blue suit. The gorgeous Dia Mirza chose to wear a black gown and looked ethereal as always. That's quite a scene Shraddha Kapoor made in green! And finally, the diva herself, Alia Bhatt looked like a glowing Goddess in her all-white lehenga. A hundred times yess! 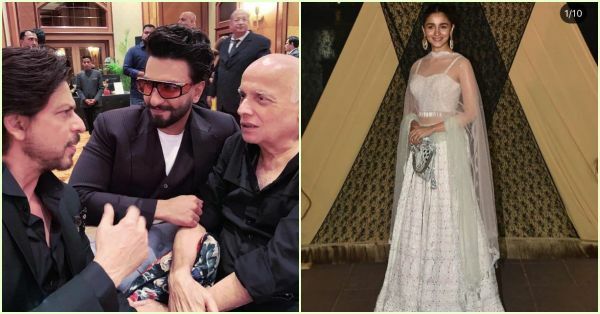 Alia Bhatt even shared an inside picture from the wedding of Mukesh Bhatt, Gully Boy Ranveer Singh and King Khan. She captioned it, "My boys." Well, isn't there a certain rockstar missing here? Alia Bhatt, King Khan and Mukesh Bhatt. Look at these two Dear Zindagi costars! We're sending all our love to the newlyweds. Hope your life is filled with happiness and sparkle!